Well, you have two choices. You can continue working on your blog by posting on a regular basis. You should also try to connect with your visitors by answering their comments or taking some input from them for your topics. Or you can do all of that and earn money on the side. Yes, you read that one right. Earn money from your blog. But hey! Isn’t that one of those scams you read from those scummy pages? Where they tell you that you can earn $100,000 just by keeping a blog? Well, I can’t promise you $100,000 but maybe you will start with enough money to maintain your site. That’s good enough, right? But before we start, I will try to give you a small caveat. Earning money through blogging is not a “it worked for him then it should work for me” kind of thing. In all honesty, blogging is like war. No two battles are the same and one plan may work better than the others depending on the situation. That’s why in order for you to survive, we are giving you 55 different plans to conquer this war. With over 55 different ways to earn money from blogging, you can be sure you can find something that fits your style or your blog. I will be listing them down by categories so it will be much easier for you to identify each one. One last thing, you might be thinking right now “If one way makes me earn money then why don’t I use all 50 of them and I will be rich!”. While that sounds like a solid plan on paper, not all methods can work in conjunction with the others. Oh and the list of methods aren’t listed by how much you are going to earn from them. Like what I said, different strokes for different folks. So let’s start with the countdown. The simplest one in the list would be display ads. The idea is quite simple, you earn money through ads on your website. The only problem with this kind of method is that it can be quite hard to earn a good income from this when you are just starting out because it depends heavily on your traffic. The great thing about display ads is that you can actually just set it (quite easily!) on your site and leave it. The ad server will do the rest for you. It can also be a turn off for some of your visitors so think about these things when considering doing display advertising. Here are the kinds of display advertising methods to earn money from your blog. PPM – PPM means pay-per-impression where you get paid every time a certain ad gets “seen” on your website. This means visitors don’t need to click on the ads themselves. It does not pay much so you need a huge amount of visitors in order to get a good paycheck. PPC – Unlike PPM where you get paid when people see the ads, PPC or pay-per-click only pays you when your visitors click on the ad. The pay is good and you don’t really need millions of visitors to earn money. You just need visitors who will click on ads. This is perfect for websites in a highly competitive niche. Banner ads – Either PPC or PPM, banner ads are ads placed in individual posts, headers, or sidebars. They are one of the more common methods of advertising mostly because you have control on where the banners are displayed. The only drawback of this method is that, if not planned out correctly, it can destroy the look of your blog. RSS Ads – If you have an RSS feed, you might want to consider using RSS ads to earn money. It is one of the newer methods in earning money and is all about putting ads on your RSS feeds. This is not really that popular but is a perfect method for blogs that have a large RSS lists. In-text Ads – Unlike the other ads mentioned above, this one is embedded on the written text in your website. You get paid when visitors click on the text after which the ad gets displayed. The ads look just like links so you don’t have to worry about how your banners or headers will look like. Sadly, some visitors might find the in-text links distracting and can really affect the “readability” of your website. Mobile advertising – If your blog has a mobile app, you can choose to do mobile advertising. While not really something you can easily prioritize, especially if you don’t have a good reader base. A mobile app means you can display more ads when people use your app to visit your page. Advertising widgets – Not really the best for beginners but advertising widgets can give veterans a little more wiggle room with ads on their page. It makes ads on your page customizable and thus makes it a bit more profitable for you. Bulletin/Job board – Highly dependent on the niche you are on but can be quite profitable. It is very easy to set up and can help make your website a central “hub” of your niche. Only thing is, in order to be successful, you need to make your website popular. Audio ads – If you are doing podcasts for your blog, using audio ads can give be a good income stream. If you already have a good number of loyal listeners and your podcasting is quite consistent, you will see a good paycheck from this method. Sponsored Content – If you have good readership and dependable traffic, you might want to consider doing sponsored content. With sponsored content, you can advertise something in the form of a blog post (must be disclosed). It is very niche dependent and can turn off some people who might think you are a total sellout. Video ads – Perfect for blogs that have constant video content. Youtube’s advertising program or partnering up with a sponsor can give you a stable income if your blog gets enough exposure. It’s also a good way to earn money without doing anything extra from your end. Sell Ad Space – So you have a popular blog that gets a lot of visitors in a niche that is quite competitive and you want to earn money. So why not contact brands or sponsors directly and sell ad space? This removes the middleman and you get total control of what appears on your website. While advertising on your website may be a good way to get passive income, selling something through you’re your blog is also a good way to earn an ample paycheck. It does not really depend on the traffic you get but on the quality of the item you are selling. So if you are more of the seller than a writer, consider selling something on your website. Blog merchandise – This is great for very niche specific blogs and for those who have a very loyal readership. Blogs merchandise can range from shirts, caps, and even car stickers. It won’t cost you much to start as there are a number of websites who can do the production for you. Auctions (creating an eBay like store) – You can use your own blog as your own sort of “store” online using eBay. It’s pretty easy to set up and you don’t have to worry about anything else except to receive payment and ship the item. Alternatively, you can just auction your stuff on your website. Perfect for review sites. Starting an eCommerce store – Instead of auctioning off or using eBay to sell your stuff, why not sell it directly? No more middle man and you can easily set up a sub-domain for your store that you can link through your blog for the eCommerce store. If you have something worth buying, then you can sell it quite easily especially if you have a good following. Being a blogger is all about keeping an audience entertained and engaged. That’s why good bloggers can easily make money but doing reviews and welcome sponsors for their pages. Thing is, of you get good traffic and your visitors engage with your quite well, brands will see it as an opportunity to take a bite of a scrumptious cake. There’s a reason why this kind of method has been popular all these years even if Google rolls out SEO changes or advertisers change rules and guidelines. Paid Reviews – Imagine owning a blog where you review makeup. Now, there’s this one up-and-coming brand that contacts you to make a review of their latest eye shadow. They pay you for making a review of their product. That’s how paid reviews work, basically. As the blogger, you should inform your readers that it is a paid review so they don’t get shocked why you review certain brands. It’s a good way of earning money if you already have a good following. Getting gifts for doing reviews – Sometimes, you don’t get paid to review stuff but you review them anyway. Also, there are times when unpaid reviews get really viral and popular that the brand recognizes it. Instead of paying you for the article, they just send you gifts as a way of saying thanks. This one will not require you to have a large audience but you need to craft a review that will be popular so that’s harder for some. Get sponsored by a brand – Everybody these days get sponsors from your favorite F1 team to that small store right around the corner. It wouldn’t hurt to get a sponsor for your blog as well. While this option depends heavily on your niche, if you do get one then you will be getting gifts and payments a plenty for your posts. Becoming a brand ambassador – If you personally favor one brand over the other, why not try to become their brand ambassador? All you need is to ensure you and your blog follows or projects the image a certain brand wants. Fairly common among fashion bloggers as some of them really stick to one brand over the other. At one point in our lives, we dreamt of having to relax every day, doing nothing while cash flows directly to our accounts. Maybe, that’s why you are blogging right now. Because you read somewhere that you can literally swim in cash just by doing nothing through blogging. Well, that’s a half-truth. While it may be true that there are some bloggers that enjoy passive income from their blogs, it’s really not that easy to pull off. The good news is that with passive income the workload lessens as time passes by. Affiliate links in post – You start by creating content that is not time or season dependent and should be of value to your readers. You then use the words (or brand names) on your posts and put an affiliate link. People who are curious about the product will click on the link and will be taken to a page where they can purchase it. Just remember to not force the links down your reader’s throats. You wouldn’t want them to hate you because you just turned your blog into a marketplace. Webhosting referral affiliates – Have you been using you web hosting service for years now? Why not blog about it and place a referral link on your entry. If it’s a service you trust, your readers will see it and they will trust on it as well. Affiliate sales from Social Media – If you have a good social media following, you can use it along with your blog to promote products from websites such as ETSY or Rewardstyle. This is great for people who have a large following both on the blog and in social media. Create an affiliate program for your product/service – Earn extra revenue from the stuff you already sell by setting up an affiliate program. By tapping the right people, you can literally cover hundreds of thousands of people in just a day or two. Sell other people’s stuff on your blog and get commissions – The idea is pretty simple. Somebody is selling something so you sell it to your readers/visitors. Every time somebody avails of the service/product through your link you will also get a commission. Not only will this make you closer to your readers but also to other bloggers in your niche as well. So you are not a salesman or a product maker. Don’t worry. There are still other ways to earn money through your blog. You can start by being yourself. Yep. You hear that right. As a blogger, you become some sort of leader or mentor to some of your readers. Thing is, if you are writing about what you love doing and people read it or follow your blog, you must be doing something right. So why not capitalize on that one? Consulting – If you are one of the more popular people in your niche, your ideas with be taken highly by people around you. When you deal with consulting, you take your ideas and turn them into solutions for people – like creating a strategy or marketing plan. You need to build your authority first before getting bigger gigs but your growth as a consultant will be unparalleled. Coaching – Unlike consulting, coaching is not just telling people what and how they should do things but also why. Coaching is more hands-on and may require you to have inputs of encouragement, support, or guidance. Coaching is great if you are not that well-known in your niche but you can provide the necessary feedback and support to your customers. It’s a bit more time heavy compared to consulting that may affect your time for the blog. Group coaching programs – Similar to regular coaching but for a group of people. You provide everything from lessons, exercises, to feedback and support. Preparing courses for group coaching programs can take a lot of time and effort so it might not be for people who have short attention spans. It is every blogger’s aim to provide the best kind of content to his/her readers. If you have been doing that in your blog for some time, why not earn more money from it? If you are one of the more popular bloggers in your niche or if you are just somebody who is good at what you do and you can translate that expertise into content, then you will be of use to different websites out there. Thing is, a lot of individuals out there actually pay people to provide quality content for them. There’s a disclaimer though. They only pay for quality content so you should be able to provide something really good to them. Private Interview Series – Imagine being able to interview a well-known person in your niche on topics that are relevant. You will then charge a fee for access to said interview. This is only good for people who have connections to people whose ideas really matter. Create and sell your own courses – Courses are niche specific “lesson packets” that your followers can go through in order to learn a new skill or learn new ideas. These courses usually come in a combination of text, audio, and video. Making courses is great especially when you already have a name for yourself on your niche. It just needs some time to make and develop so it will be a very big time sink. Video Courses – Perfect for the “over-the-shoulder” approach in teaching your followers. It’s great for giving instructions on complex tasks because your viewers can just watch the video over and over again. 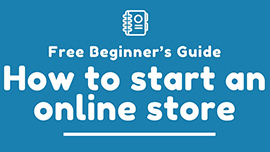 E-Books – Creating an e-book course is an easier way to start of your money making career. You can just take inspiration from the posts on your site. Membership Sites – Instead of creating an e-book or producing a video, why not just create a special area on your site where you people have to pay in order to access. You don’t really need to produce one big packet of articles or videos but you can just create content on a weekly basis. Creating a Private Forum – This is just like creating a membership site but the only difference is that the quality of the content differs. A membership site should provide top quality content everytime but a private forum just require you to start topics and conversations where you can just answer and include your input. When you first said to your family or friends that you were going to become a blogger, most of them might have said “so how can you possibly use your skills as a blogger to earn money?” Turns out you can actually use your skills and talents as a blogger to make money online. Here are some examples how. Doing guest posts – A lot of websites out there would love to have you on their site for a fee. That is if you are good at what you are doing. Not only will doing paid guest posts help you get a good monthly paycheck, it will also help hone your writing skills. The pay and openings will be small at first but as soon as you get your name out there, every word you write will be worth its weight in gold. Ghost writing – At one point in your life as a blogger you might have wished you could have somebody writing for you, right? Well, it turns out there are people who are seriously considering that idea and they are ready to pay. Ghost writing means writing for other people’s blogs or websites but you won’t get credited for your work. You get paid more than doing guest posts but you can’t brag about it. Using your Blog as your Platform for a Better Job – A lot of bloggers out there write about what they love and what they are good at. Sometimes, other people realize through their blog that they fit a specific role in their company or organization. If people don’t take you, you can just work as a freelance writer or blogger. Writing Sales Letters – Just imagine writing sales pages of businesses but a bit longer. It requires more details, its much longer, and requires a higher level of skill in writing. It requires a specific talent but if you do have it, you can earn a ton of money from it. Publish a book – I guess every writer’s dream is to one day publish their own book. It doesn’t matter if your blog is about popular games for children or about collecting bottle caps. If done right, writing your own book can be a good way to not only earn money but also get popular. But first, you have to ensure that you have a loyal following that wouldn’t think twice about buying your book. Write a web copy for blogs or businesses – Like what I said above, some brands and individuals would pay for other people to write something for them. Sometimes, it’s their web copy that they have problems with. You get paid more than just creating articles when copywriting. Forming a Partnership – Two heads are better than one as they would say and in the world of blogging, this still holds true. Certain businesses, bloggers, and brands like to partner up with a blogger to do the writing for them. With a partner, you aren’t only getting paid to write but you also get a slew of freebies in the form of knowledge, tools, connections, and opportunities. If you have been blogging for a while, talking to your followers might be a normal thing to you. Being social is one of the important qualities of a successful blogger because that’s basically what you do when you blog. So why not go out and create an event so that you can talk directly to your followers. It’s just like blogging, but live! Organizing an event – Depending on the nature of your blog and how well-loved you are, organizing an event can be a miss-or-hit kind of thing. Some bloggers use events to not only meet with their followers but to also open up other means of monetizing their blog. This is good if you have a loyal following that’s willing to travel to meet you for something value (a seminar, or signing). Doing paid speaking gigs – If you can’t set up your own event then maybe people will pay you to appear in theirs. If you are a good speaker and you keep a good blog, people will approach you if they believe you can provide something of value to their followers. Host a branded “Twitter” party – For bloggers who have a lot of following in social media, you can use the number of your followers as leverage. Brands and companies will be more than willing to pay you to advertise their brand to your followers. Live Workshops – When doing live workshops, you are basically just teaching your followers of a certain skill you have in real life. It is similar to coaching but with higher pricing mostly due to its exclusivity. They say that a popular person’s power is not his/her skills but the people that follow him/her. Same is true with bloggers. You are only as strong as the people who support you. So why not use the power of your followers to help you out? Set up a crowdfunding page – If done right, asking people to help you out on something through crowdfunding can be perfect for specific blogs. Just make sure you don’t just crowdfund for a vacation or new shoes as it will come out as greedy and too self-serving. Think about the Beacon Network – When people want to read something from you, they will do their best to support you in that. That’s how the Beacon Network works. Just imagine getting crowdfunding for a story you want to make. Enroll in Patreon – Patreon is like the child of Beacon Network and the regular crowdfunding page. In a sense, people commit to paying a certain amount per month for you to create content. Think of it as a “monthly salary” from your readers. In return, they get special rewards depending on the amount they give. Get Flattrd – Flattr is another way to earn money by creating content. The idea is simple. People set a budget and they allocate parts of their budget for content they like. The creator of the content then gets the budget allocated for them. This is good if you can create a variety of content that can appeal to a large audience. Get cash from Tiptheweb – Quite similar to Flattr but is still in beta version so you can’t expect to get a lot of tips to start. Accept gratitude with Gratipay – Almost similar to Patreon but on a weekly basis. The pay scheme is much better compared to tiptheweb but both can work in conjunction with each other. Ask for donations through Paypal – Not really the best option out there but can result in a hefty monthly paycheck if your followers really love you. Some followers might like this as it makes them feel that they have a choice to either give you money directly or not. When you are done being creative, sometimes you just have to go the technical route. Creating a new product for your followers might be time-consuming and will require a lot of effort from your end. Still, if you know how to do it, it will be a good cash cow for you. It’s hard but if you do it right, it might just give you that financial boost you need. Create your own product – It’s just like selling your own e-book or course but in this case you will be making a physical product. While harder to make, physical products add some level of authority and credibility on your end. Only applicable to niches that allow physical products. 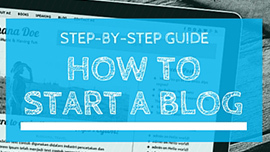 Selling your blog template/theme – A lot of starting bloggers want to emulate their favorite blogs. If you have followers like that, selling your blog template or theme can be a good way to earn a little cash on the side. Only good for blog owners with unique themes. Create your own software – Some bloggers have multiple skills and talents. Some of them can create their own software for their niche. For example, one WoW blogger created a software specifically created for WoW players and sold it for a few dollars. Due to the number of his followers, he earned a lot from that one software he made. Creating a mobile app – Depending on your niche and blog type, a mobile app might be a great way to earn extra cash. Use it to promote affiliate products or your own products. It is a bit more challenging on the technical side but can really help you not only earn money but also grow your blog. Now that we have listed down most of the usual ways of earning money, why don’t we try to list down the ones that are totally off the wall? After all, if you are trailblazer in your niche you can do just about anything. Word of caution though, a lot of the ones I will mention here can both help and hurt you depending on the situation. So be careful. Get funded by an Angel Investor – Not really the first thing on your mind when you think about earning money for your blog but a lot of blog sites out there have angel investors helping them out. It will be hard to look for an investor and proving you are a worth investing on is even harder. Use a Paywall – Something similar to creating a members-only area on your site but for this one you have to put your content behind a paywall that requires people to pay up first before they can see your content. Used by a lot of news websites and can be used by blogs as well. The only problem is that it might annoy new users. Sell your blog – Nothing can be quite fitting to be the last way to earn money from your blog than to say to sell your blog. Now, this is great for people who want to move on to other projects or who can’t find time to manage their blogs anymore. Selling your blog does not mean you can’t set one up again to start over, right? If you’ve reached this point, I congratulate you. Making this list was quite hard and I really understand that reading it will be much harder. Worry not though. This only means you have 55 ideas on how you can make money off your blog. While not all of them might fit your blog or niche, at least one of the methods mentioned above might just be your ticket to financial freedom. But be careful with your decision. Something that pays more does not mean it is the best choice. It’s your blog. Your decision should be yours alone. The important thing is making a decision. One last thing before we part, choosing either of the methods above will certainly change the “feel” of your blog. Make sure your followers and readers are ready for such changes.